Woodgraining is a faux finishing technique, a way to make something that is not wood look like wood. 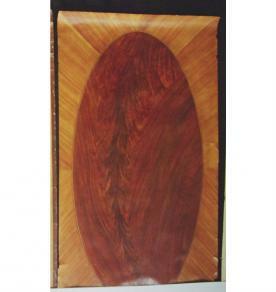 Faux woodraining can make a steel security door have the warm look of Mahogany or make a computer case look like Cherry Wood in order to match your Cherry desk and office furniture. This assortment of woodgrain samples (most shown on paper) are furnished to show the variety of styles and artistry that can be employed in woodgrain. We can match wood species, for instance. We apologize for the quality of the images, these are shown only for purposes of discussion and to furnish ideas. 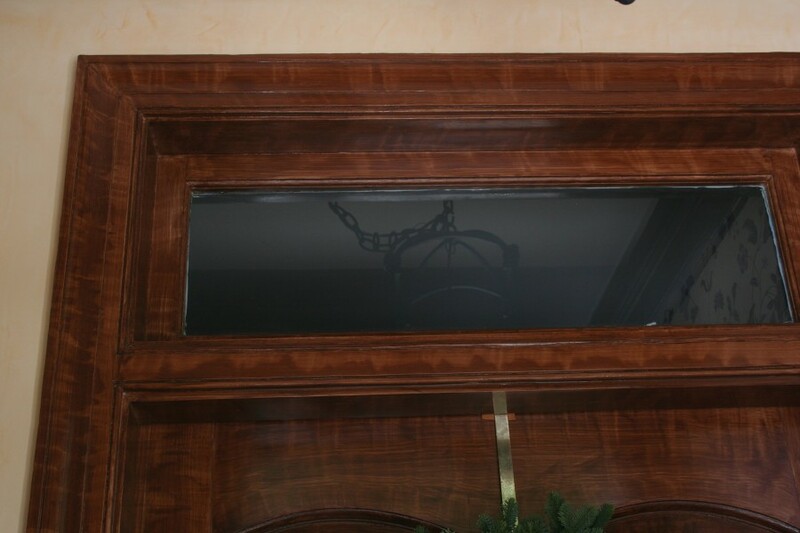 Shown here dark mahogany wood graining of interior woodwork shows the ability of the technique to show different types of wood. 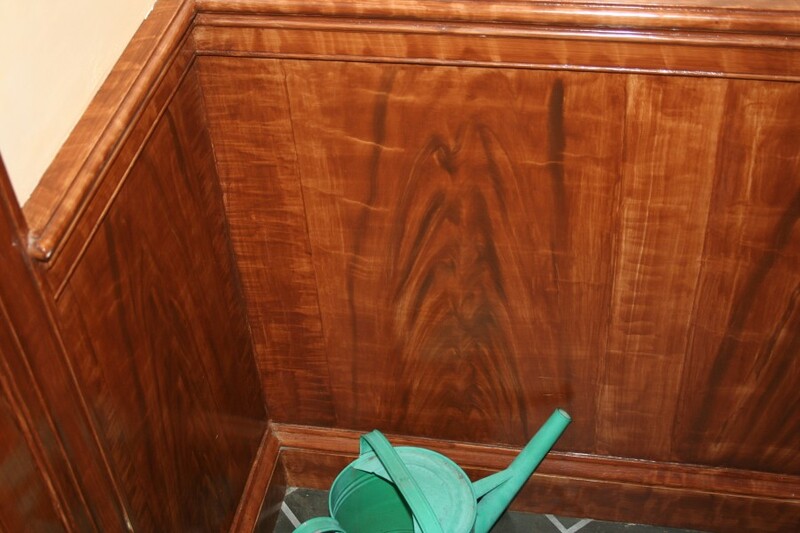 This light blonde woodgrain finish was used throughout the house for wainscotting and trim, as well as doors. 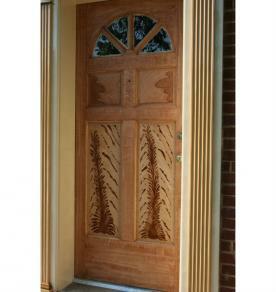 We applied layered wood graining of this entry door to a striking effect as part of a larger painting and restoration project. 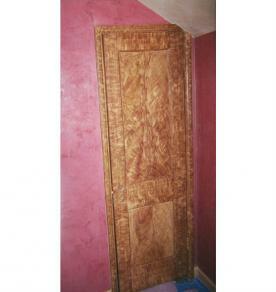 This narrow closet door shows the effect that a small amount of wood graining can have in a small space.